If you’re like most Americans, you’ve most likely tried several different medical weight loss programs. Unfortunately, too many overweight individuals feel as though they’ve “failed” these traditional diet and exercise regimens. At Dr. Urshan Health and Weight Loss Center, you’ll learn early on that it was the doctors’ diet program that failed you and not the other way around. 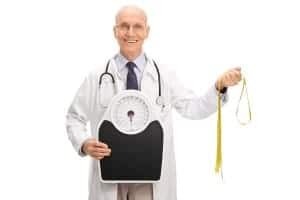 Just as no two patients are the same, no two patients will receive identical weight loss recommendations and guidelines. At the beginning of each patient’s journey, we discuss their lifestyle to better understand behavioral barriers to success as well as any hormonal and underlying issues that may be present. Time after time, we find that crash and fad diets are the common culprits in destroying once-healthy metabolisms and creating severe hormonal imbalances. At Dr. Urshan’s we administer customized fat loss and health programs to patients of all shapes and sizes. Based on your body’s unique weight loss, hormone and health challenges, our proprietary weight loss treatment plan is customized for each patient’s individual metabolic needs. Given this industry-leading technology, it’s no surprise that we see better success rates in weight loss patients than other doctors’ diet program centers. No matter what your goals may be as you embark on a diet program, the team at Dr. Urshan Health and Weight Loss Center will help make your transformation a reality step by step. Unlike other exercise and diet regimens, our weight loss technology does not require pharmaceutical pills, shots, pre-packaged meals, shakes or excessive workout programs. With our weight loss technology, you’ll enjoy fast, effective and safe results without the unsustainable restrictions that common medical weight loss programs require*. Our centrally-located office makes weekly check-ups a cinch for those in St. Petersburg, Brandon, Wesley Chapel, Lutz, Land O’ Lakes and neighboring cities. Contact us today to learn about our programs or schedule your complimentary consultation.